Auto Insurance in Inglewood is affordable through Obar Insurance , we have Auto insurance quotes, DUI SR-22 insurance quotes, Homeowners insurance quotes, Liability insurance quotes, Workers compensation insurance quotes, Renters Insurance quotes. Free online Quotes! As an Insurance Agent in Inglewood we can provide Low Rate Auto Insurance, Low Rate Homeowners Insurance with our Free Online Auto Insurance Quote Forms giving our customers in Inglewood and surrounding cities the Auto and Home Insurance coverage they need. Obar insurance of Inglewood is an independent agency with the customer in mind. Safeco,Philadelphia, Infinity And Progressive insurance. Get the right price with the right service. Whether you have the ideal history preferred companies desire, or a not so perfect history, we find the right coverage, with the best company, at the best price for you. Make the latest changes to your Auto Insurance Policy from our website twenty-four hours a day, seven days a week. As an independent insurance agent in Inglewood we can offer the right coverages with the personal touch you would expect from your neighborhood insurance agent. We give 5 Star Service! Insurance Solutions for Inglewood and all surrounding cites! Get our website on your mobile device. 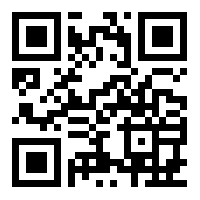 Just scan this QR code image and you can have all the Insurance Information you need on the go! Make payments , Get Quotes, Share all Services we offer! Request a quote online by clicking here. Apply for Homeowners Insurance.